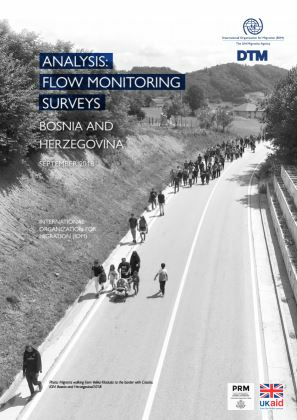 This report contains findings of IOM’s Displacement Tracking Matrix (DTM) Flow Monitoring Surveys (FMS) conducted by IOM field staff between March and May 2018 in Sarajevo, Banja Luka, Bihać, and Velika Kladuša. The total number of 277 surveys were conducted. The non-response rate was low, with only two respondents refusing to participate in the survey. The sample used in the analysis consists of 275 valid surveys.